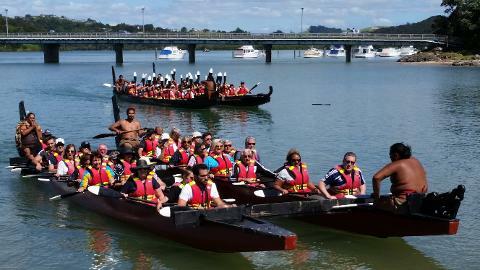 Operating during the summer months,take a voyage up the Waitangi river on our 50ft Maori Waka/canoe. Qualmark rated and endorsed ancient story telling skills coupled with fantastic panoramic views of our ancestral cultural landscapes. Taiamai Tours captures the true essence of authentic cultural tourism. 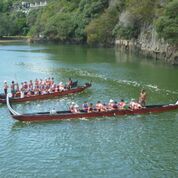 Operating double and single hull Waka. 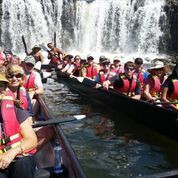 Taiamai Tours invites you to join us on a once in a life time "journey of distinction, a journey of discovery." Taiamai Tours cultural experience now includes a 2 day pass into the Waitangi Treaty Grounds. **Please note the Waitangi Treaty Grounds has no association with Taiamai Tours Heritage Journeys and operates under their own terms and conditions, refer to their website. Taiamai Tours Heritage Journeys do not accept any responsibility for any changes made by Waitangi Treaty Grounds, and this value add can be withdrawn without notice however we will communicate any changes in advance where possible. **Please note for a confirmed departure we need a required minimum 6PAX, we may ask you to amend your day, thank you.